My god-daughter has asked me to make some little toys etc for our local hospital’s premature baby unit. 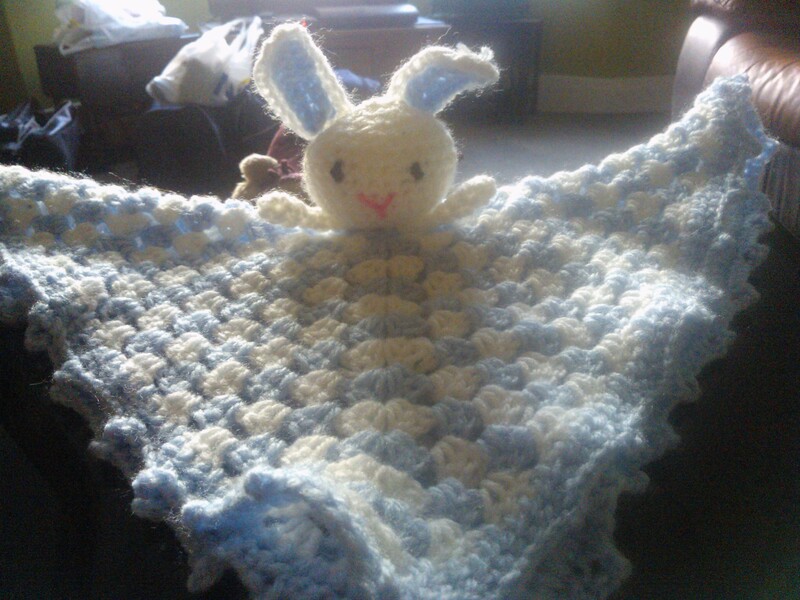 So I had a little think about what would be suitable for a premature baby and I found this lovely little comfort blanket on the internet. It’s took me pretty much all day to create as I’m not the fastest crocheter in the world. I made this one in blue as I had some spare blue wool. I’m really chuffed with it and think I’ll be doing a few more in various colours over the next few days. Yay a day off work. To be honest I do only work 3 days per week and even then I only work 9am to 2:30pm (I know life is so very tough). I had all good intentions to get started on my first homemade card today but instead I took the dog out for a 30 minute jog and then when I got home saw the state of my son’s bedroom and felt the burning urge to tidy it up. So here’s the next instalment of my Crafty 2014. I found this free pattern for Betty the Hippo on-line and just had to make her – she is so very cute I just couldn’t resist. 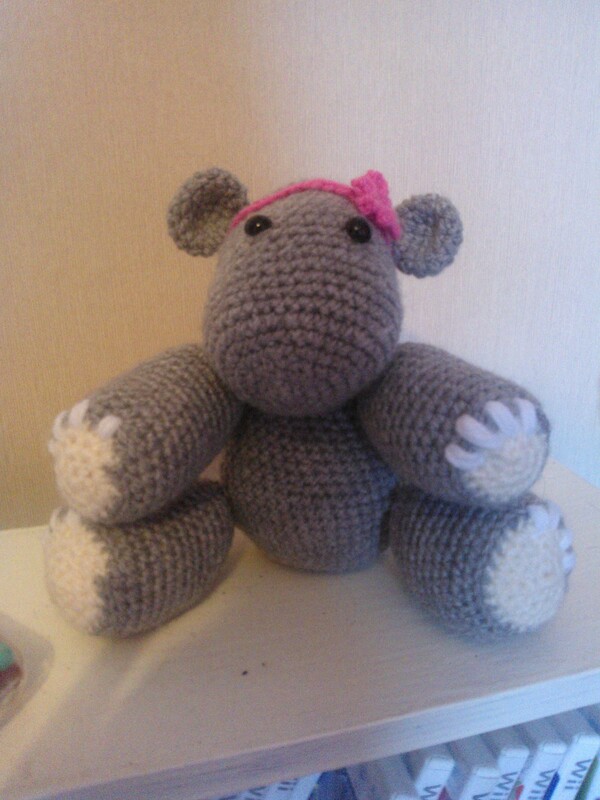 Here’s a link to the pattern – Betty_the_Hippo. 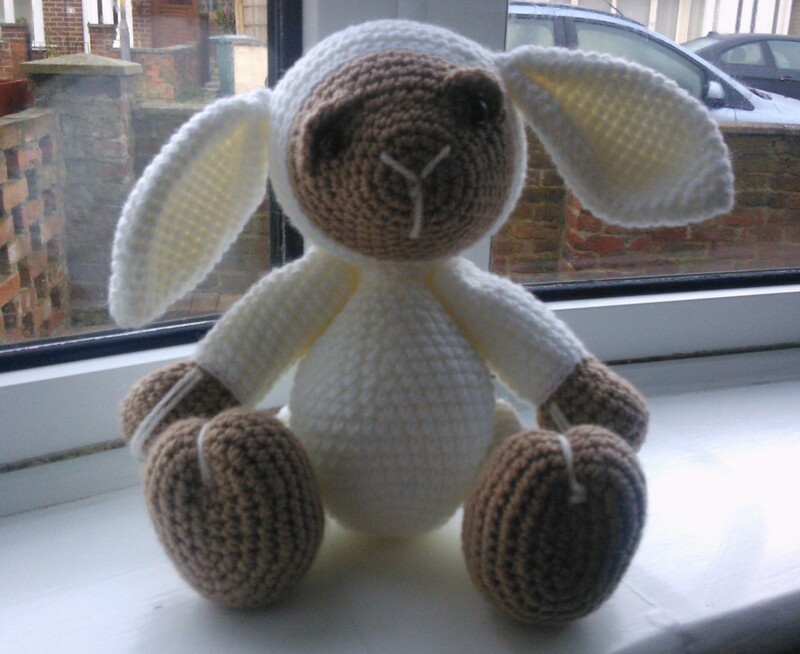 Hope you enjoy making her – she’s fairly quick and easy to make and as you can see, she’s adorable.